Sometimes, we all need some help. As we get older or suffer from health problems, or other disabilities, we may need someone in our corner, helping us to make decisions and manage basic necessities such as buying food, paying bills and setting doctors appointments. Luckily, even if we feel alone in this process, we don’t have to. Your Okmulgee guardianship attorney can help make sure that the court appoints a trusted person to help just when help is most needed. The decision to have a loved one placed under guardianship can be difficult for everyone involved. It is difficult for elderly loved ones to surrender some of their hard won independence. And when the court appoints a person who is unknown to the elder, it can be frightening and isolating for the elder. The person who is appointed as a guardian has a deep and long lasting effect over the health, wealth and happiness of the person they are caring for. We can make sure that a trusted guardian is put in place. Your Okmulgee guardianship attorney can make sure that your elder is properly cared for. Guardians can be appointed to take care of children, elders, developmentally or otherwise disabled adults. And the duties of an appointed guardian depend largely upon the age and needs of the person or ward placed under the guardian’s care. 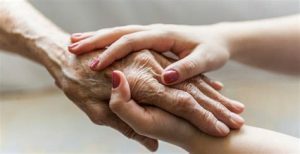 When an elder or disabled adult is placed under a guardian’s care, the guardian usually manages all of the assets and liabilities of the adult, using the adult’s income for housing, food, medical expenses and the like. A guardian usually must report periodically to the court regarding the adult ward in their care. The guardian may need to obtain in-home care for the adult, or obtain other legal and social services for the adult. Managing the life of a minor may be quite different for a guardian. Some minors have income that must be managed, but most do not. If the minor has access to income, the guardian must manage that income and other resources that may be available to the minor. The guardian makes sure that the minor’s living situation is stable and emotionally conducive to developmental growth. Again, the guardian reports to the court periodically regarding all issues involved in their care of the minor. Your experienced Okmulgee guardianship attorney can help you decide if a guardian is needed, what type of guardianship would be most beneficial, and what duties the guardian will assume. Your attorney can also draft the pleadings requesting that a particular person be appointed as guardian. Once the guardian is appointed, your attorney can help prepare the annual reports to the court that are required. Picking a guardian can be a sensitive issue for the proposed ward. Often the ward will have picked a spouse, or child, or other loved one prior to any incapacity. If they have not, the court may look to appoint a family member first. If a family member is not available, or feels unable to take on the task, the court may look outside the immediate family. In all cases, the proposed ward may have feelings about the guardianship proceedings. A ward has the right to be legally represented at the proceedings. An attorney can be appointed by the court or the proposed ward may select an attorney of their choice. At the hearing, the court may decide that the proposed ward needs either a full or limited guardian. Alternatively, the court may decide that a guardian is not needed at all. If a guardian is appointed by the court, it will decide what duties and powers the guardian will have. Likewise, the court will determine what activities and limitations should be imposed upon the ward. Typical decisions include whether the ward should continue driving, voting, continue or discontinue working under a professional license. The court will also require that the appointed guardian post a bond, the amount of which will be determined by the size of the ward’s estate. This is to protect the assets of the ward in case of mismanagement by the guardian. Guardianships come in all shapes and sizes. Whatever your needs, an Okmulgee guardianship attorney can provide representation and counsel when you most need it. You want to feel confident that your loved one will be well cared for. Move forward with confidence that your needs and concerns are in qualified hands, and that your guardianship proceedings will be handled in a knowledgeable, confidential and compassionate manner. If you’d like a confidential, no cost consultation with an Okmulgee guardianship attorney, call (918) 756-9600 or toll-free (888) Wirth-Law for a free consultation at the Wirth Law Office – Okmulgee. Or, enter your legal question or concern in the firm at the top right of this page, and one of our attorneys will email or call you.